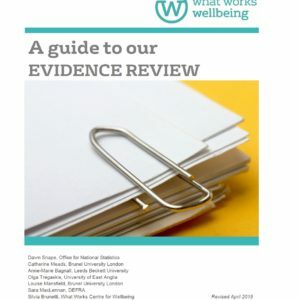 The What Works Centre for Wellbeing and Ecorys present a roundtable event to share learning from the Wellbeing 2 programme evaluation. 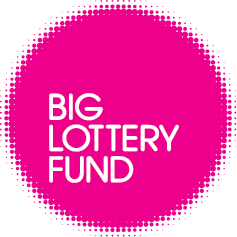 Following Big Lottery Fund’s first Wellbeing programme, which invested £160 million across England to encourage healthy lifestyles and improve wellbeing, an additional £40 million was made available to fund a second phase which ran from 2013- 2015. Grants were made to 14 portfolios across England managed by a range of charities including Sustrans, the Soil Association, the Foyer Federation, Mind, The Children’s Food Trust and Groundwork. Physical activity – children, adults and the wider community being more physically active and experiencing improved access to physical activities. Healthy eating – children, adults and the wider community eating more healthily. 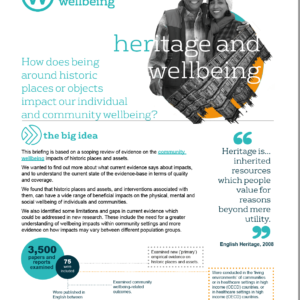 Mental wellbeing – children, adults and the wider community having improved mental wellbeing and greater social contact. The event will be held on the 16th March 12-2pm in central London. If you are are a policy official, politician or researcher, commissioner or academic interested in wellbeing and want to take part register interest now.